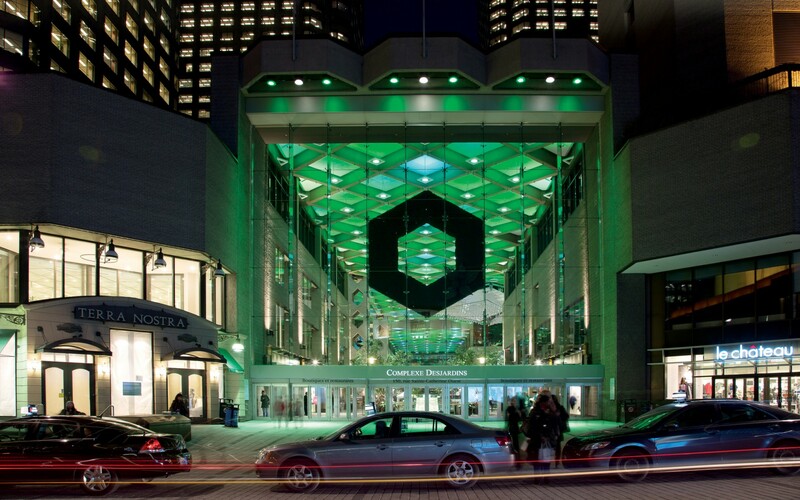 Lighting design firm Lightemotion has reinvigorated the lobby of Montreal's Complexe Desjardins, using Lumenbeam and Lumencove fixtures to create a colour-changing uplit canopy, with textured general light on the floor plane. Lumenpulse is the only product on the market that is serviceable; parts and pieces can be changed on the luminaire, so it’s not a throwaway product. 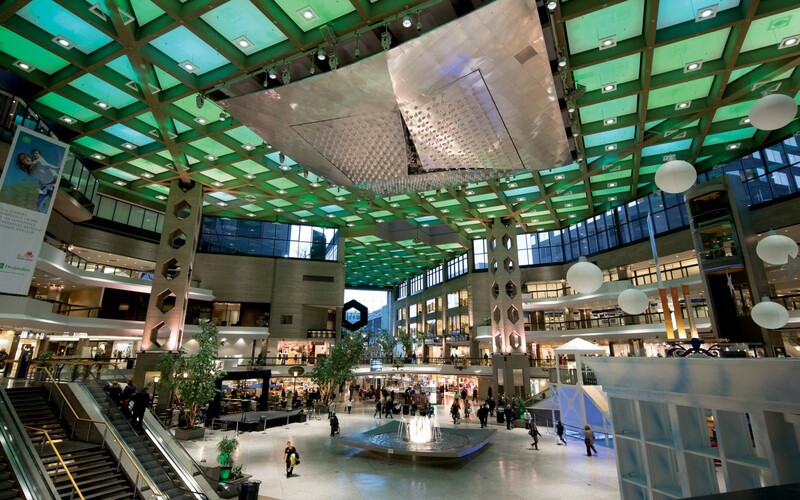 Every day, 50,000 people pass through Complexe Desjardins in Montreal, its 24-meter-high lobby acting like an open-air street, flowing out into shops, restaurants, plazas and public transit. Until recently, this expansive lobby was downlit by recessed 400-watt metal halides, which provided a flat general light and posed significant maintenance and relamping issues. 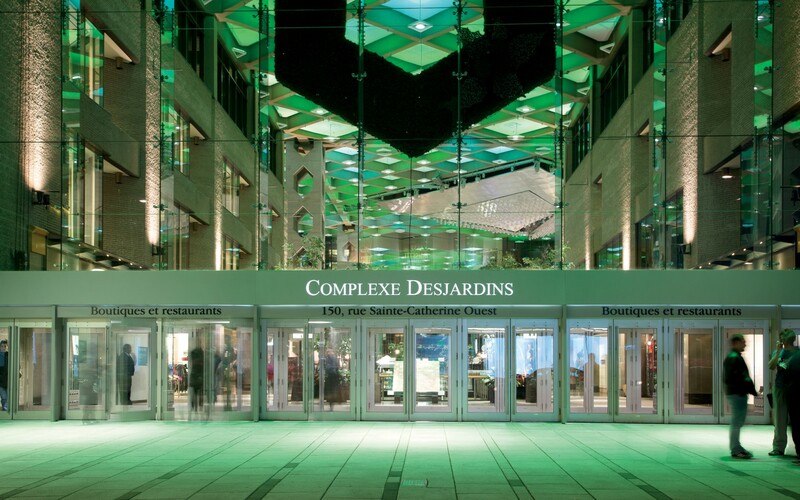 To reinvigorate the space at night, Desjardins Gestion Immobilière (DGI) hired lighting design firm Lightemotion. François Roupinian, the firm's founder and chief lighting designer, envisioned a colour-changing uplit canopy, with textured general light on the floor plane. To accomplish this, Roupinian played with notions of time and movement to create a setting that "could evolve during the day … like an urban clock. 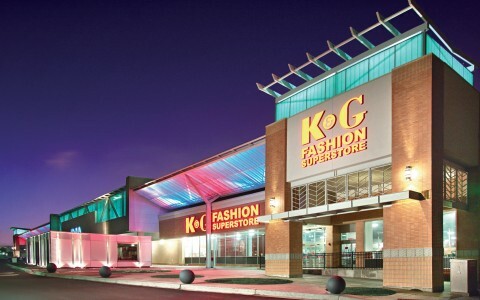 The most important aspect of lighting a retail space is a sense of arrival. The ‘wow' factor," he says. The challenge, however, was in lighting both the ceiling and the ground level with a single integrated system. This brought him to Lumenpulse, which developed a bidirectional system specifically for the project. 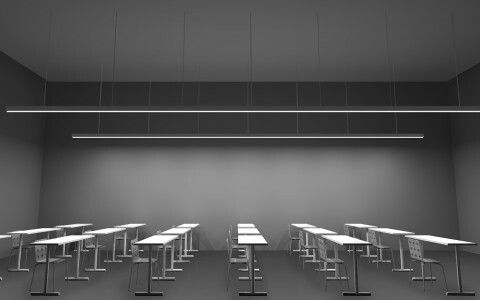 "Lumenpulse is the only product on the market that is serviceable; parts and pieces can be changed on the luminaire, so it's not a throwaway product," he says, adding, "this is important in a world where other LED manufacturers will create luminaires that are not serviceable." To create indirect light, Roupinian used four 60-cm sections of Lumenpulse's Lumencove HO RGB, with tri-chroic LEDs for seamless colour-mixing. 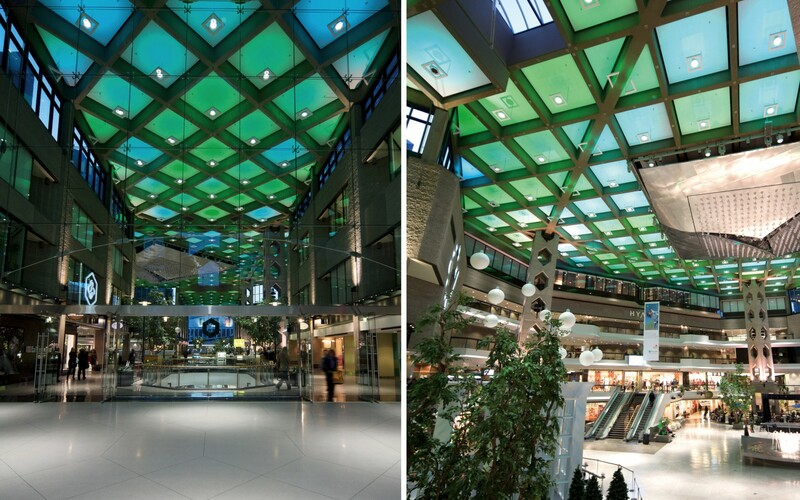 The fixtures were installed in a square-shaped assembly suspended 1m below the ceiling. For white downlighting, Roupinian used Lumenpulse's 140W Lumenbeam LBX Pendant, with a narrow 10-degree optic at a cool 4000K. The LBX Pendant is installed in the middle of the square-shaped Lumencove assembly. 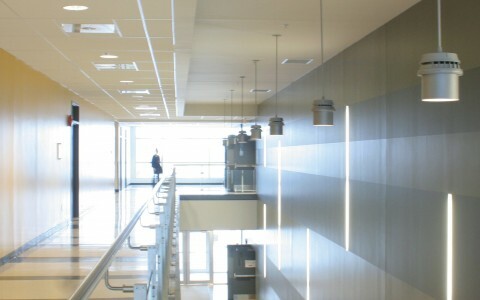 Each luminaire is suspended from the ceiling using aircraft wire. 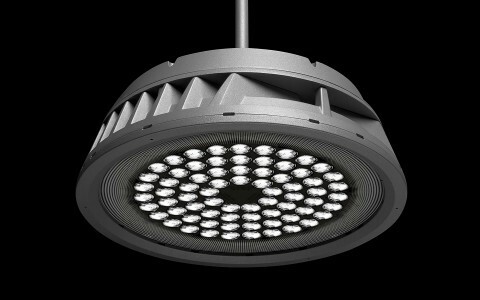 The direct light is programmed independently from the indirect light using DMX controls. Both are set to adjust according to the amount of natural light entering the lobby. Roupinian resists the idea that general light has to be uniform. "In life, it doesn't exist," he says. 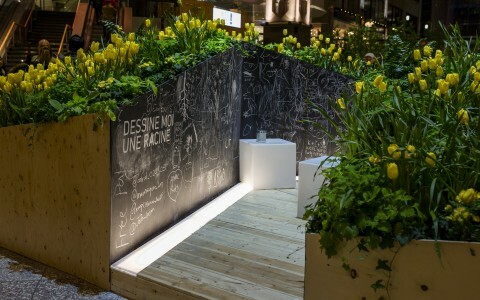 "In a public place or retail environment, you need to create textured light. You need to create nuances. People have to be able to focus on different elements. You have to stimulate them." 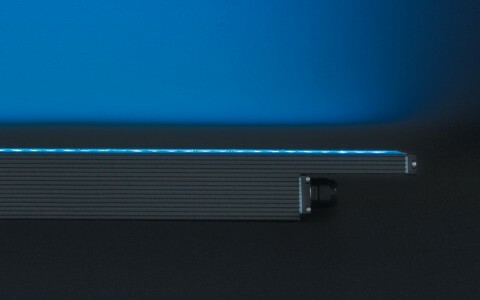 General light at ground level is therefore more rhythmic, with the LBX's narrow 10-degree shafts creating a pattern of light on the floor plane. 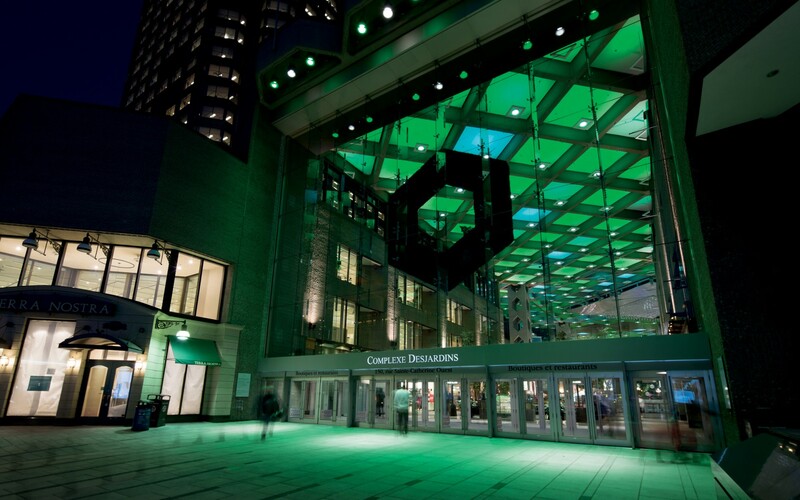 The ceiling, meanwhile, becomes an ever-changing canopy of greens and blues, recalling the Desjardins Bank's signature emerald tint. With trees planted sporadically throughout the lobby, the ambiance is richly animated, almost forest-like. Passers-by can even watch the engaging lightshow from outside, sitting across the street on the iconic Place des Arts steps. To accentuate this interactive aspect, Roupinian's design focused on visual comfort, ensuring that visitors could look up and appreciate the colourful canopy without being blinded by glare. "When you use a fixture with multiple small light sources, it's possible to achieve a high-output level while reducing the amount of glare that is often encountered with single-point sources," Roupinian says. 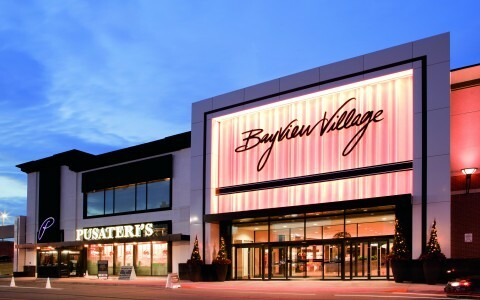 With each downlight fixture using only 140 watts, the new lighting design has reduced the Complex's overall energy consumption by 65% and significantly slashed DGI's relamping costs, which can be extensive at such a height. Unsurprisingly, reaction has been very positive. 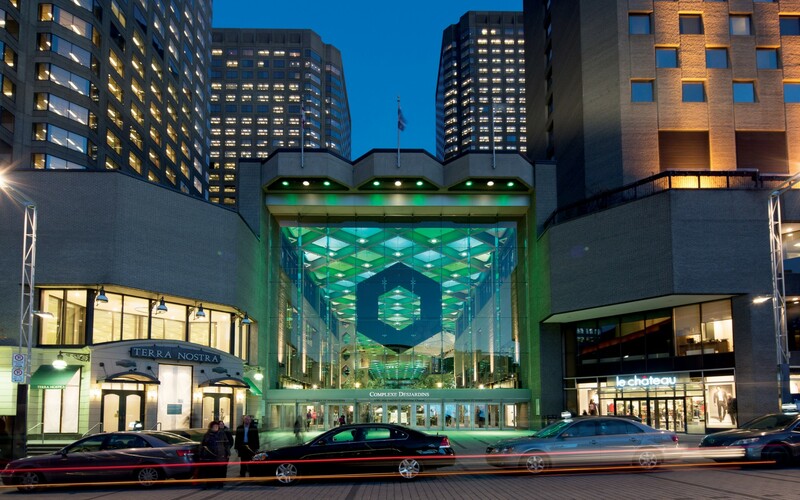 "From the end users - the people who work at the complex in retail stores, in the food court, in the offices, who spend 8 to 10 hours a day of their lives every day in that space - the comments are amazing," Roupinian says, adding that the lobby now better fits its surroundings in the lively, rejuvenated Theatre District. 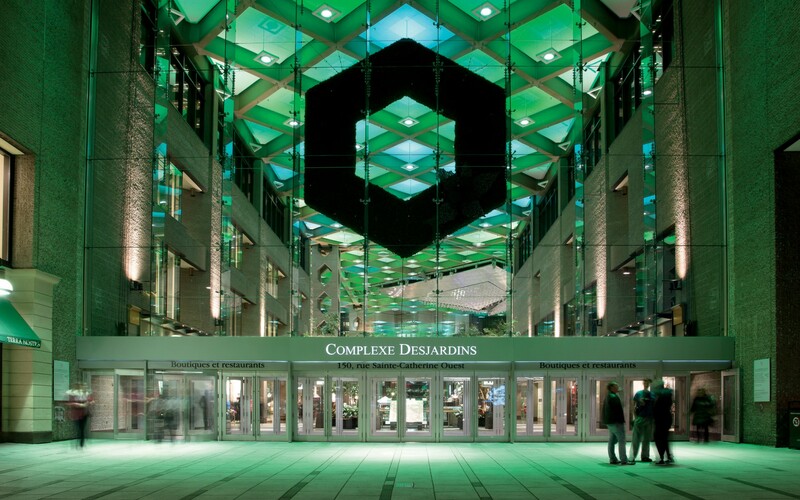 "It really sets the tone for where the Desjardins Complex wants to be … it brings it to life."